Race promoter Singapore GP Pte Ltd today unveils its 2018 entertainment line-up featuring some of the hottest acts from the international music scene for the FORMULA 1 2018 SINGAPORE AIRLINES SINGAPORE GRAND PRIX. Adding to the electrifying atmosphere at the Marina Bay Street Circuit are Jay Chou, The Killers, Liam Gallagher, Martin Garrix, Dua Lipa, Simply Red, The Sugarhill Gang, Sekai No Owari, Young Fathers, Björn Again and many more throughout the race weekend this 14 to 16 September. 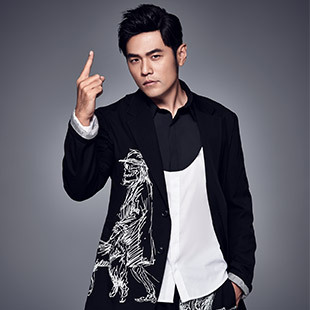 King of Asian pop JAY CHOU will perform his hits and songs from his 14th studio album Jay Chou’s Bedtime Stories (周杰伦的床边故事) featuring ‘Love Confession’ (告白气球), at the Padang stage on Friday, 14 September. Since releasing his first studio album in 2000, the singer-songwriter has received numerous accolades including two Golden Horse awards, 15 Golden Melody awards and four World Music Awards. The Taiwanese superstar will share the limelight in a special collaboration with Singaporean jazz vocalist Joanna Dong, who Jay Chou recently mentored in Sing! China. 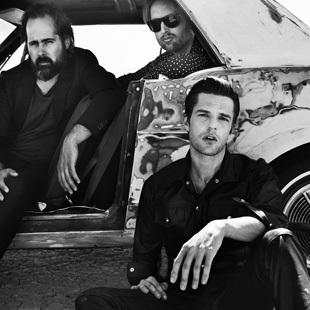 Since their debut in 2003, the Las Vegas-based rock band THE KILLERS have headlined most of the world’s top festivals including Coachella, Lollapalooza and Glastonbury and received countless accolades for their artistic achievements, including an MTV Video Music Award, four NME Awards and a Brit Award. The Killers' newest studio album, Wonderful Wonderful, was released in September 2017 and landed #1 on the Billboard Top 200 chart that very week, and topped the charts in United Kingdom, Mexico and Australia. The album is the band’s fifth consecutive number one in the UK and frontman Brandon Flowers’ seventh UK number one overall. Fans can look forward to their anthemic hits ‘Mr Brightside’, ‘Somebody Told Me’, ‘The Man’, ‘Run for Cover’ and more at the Padang stage on Saturday, 15 September after the last track activity. One of Britain’s most prominent rock stars, LIAM GALLAGHER rose to fame as the lead singer of the legendary band Oasis for over two decades and was voted by Q magazine readers as the greatest frontman of all time in 2010. He was later the singer of Beady Eye before performing as a solo artist when he released his debut solo album As You Were in 2017. The album was a commercial success where it debuted #1 in the UK, outselling the rest of the top 10 UK album charts combined and achieved the highest single-week vinyl sales in 20 years. 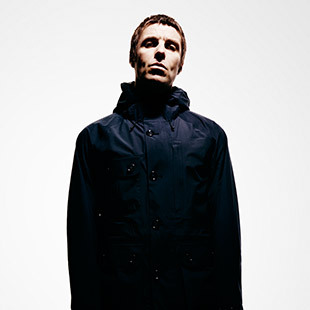 Catch Liam Gallagher at the Padang stage on Saturday, 15 September, before Formula 1 Qualifying. Dance music’s freshest talent MARTIN GARRIX has headlined festivals around the globe, founded a label and won the #1 spot in DJ Mag’s Top 100 twice. ‘Animals’, released in 2013, was a breakout success and a game changer for the music industry. Reaching #1 in the UK and many other territories, it ultimately reached over a billion streams across several platforms. Garrix’s own 2017 releases includes ‘Scared To Be Lonely’ with Dua Lipa, ‘Byte’ with Brooks and ‘So Far Away’ with David Guetta. 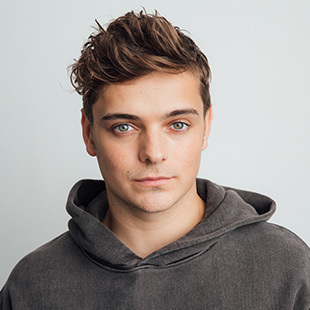 Garrix was awarded with two MTV EMAs, the #1 spot in the 2017 DJ Mag Top 100, a ‘Man of Today’ accolade from GQ, a spot among Forbes’ ‘30 Under 30’ and another at Billboard’s ‘EDM Power Players’. Catch Martin Garrix as he spins his chart-topping hits at the Padang stage on Sunday, 16 September after the Formula 1 race. English singer songwriter DUA LIPA was discovered when she first did song covers on her YouTube channel back in 2009. She is now the youngest female music artist ever to hit a billion views on the video platform. In 2017, Lipa released her self-titled debut studio album that spawned seven singles including two UK Top 10 singles ‘Be The One’ and ‘IDGAF’ as well as the UK #1 single ‘New Rules’, which reached #6 in the US. The 23-year-old has rapidly established herself as pop act with 3.5 million in global sales. She has also enjoyed mainstream success for winning two BRIT awards for British Female Solo Artist and British Breakthrough Act, a NME Award, two European Border Breaker Awards and European Festival Award. Dua Lipa will be performing at the Padang stage on Sunday, 16 September, before the Formula 1 race. 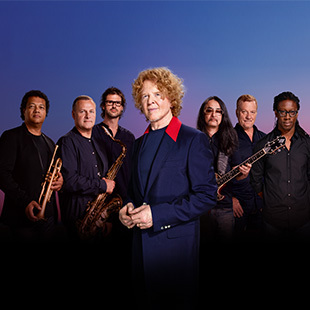 Best known for their classic ballads, British soul and pop band SIMPLY RED has become a true global arena act since their first tour in 1985. The band held their final farewell tour in 2010 after 25 years, having performed to over 11 million people in over 1,100 shows worldwide. They reunited for their 30th anniversary tour in 2015 and have continued touring since. The septet has chalked up over 31 Top 40 UK singles and won 3 BRIT Awards, 2 US #1 singles as well as 3 Grammy Award nominations. Fans can look forward to their hits such as ‘If You Don't Know Me by Now’, ‘Stars’ and ‘Holding Back the Years’ with Simply Red at the Village stage on Sunday, 16 September. 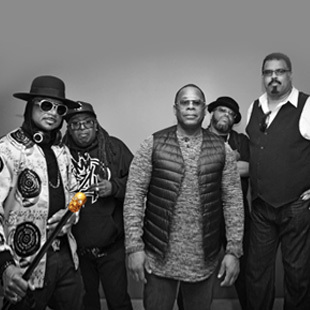 Hailing from New Jersey, THE SUGARHILL GANG is probably the first professional hip-hop group to introduce this genre of music to the world. Their 1979 hit single ‘Rapper’s Delight’ sold over 8 million copies and became the biggest selling rap single of all time. In 2009, the band released their first song in 25 years with Bob Sinclair ‘LaLa Song’, which became an international hit, winning Song of the Year in many European countries. Catch Wonder Mike, Master Gee, Hendogg and DJ Dynasty from The Sugarhill Gang at the Village stage (Zone 1) on Saturday, 15 September and the Esplanade Outdoor Theatre on Sunday, 16 September. 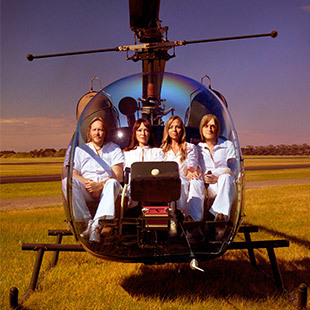 Founded 1988, BJÖRN AGAIN is the top ABBA tribute show and the most successful tribute band of all time. The band played their first show in Melbourne, Australia in 1989 and has since continued to perform at over 7000 shows in over 100 countries. Former ABBA member Bjorn Ulvaeus once said to fans on UK radio that Björn Again “is the closest they are going to get to seeing ABBA.” Dance along to evergreen hits such as ‘Dancing Queen’, ‘Mamma Mia’ and more at the Village Stage on Friday, 14 September, Esplanade Outdoor Theatre on Saturday, 15 September and the Sunset Stage on Sunday, 16 September. 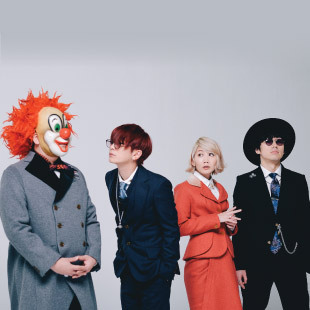 Japanese pop-rock band End of the World (SEKAI NO OWARI) was formed in 2007 amongst childhood friends who collectively managed a live music venue in Japan. The band has since seen a meteoric rise to the top within the Japanese music scene with their latest album Tree, which topped the charts. The eclectic quartet has also performed two sold-out shows at the 70,000 seat Nissan Stadium, Japan’s largest venue. In 2017, the band released a global debut single ‘One More Night’ followed by their second international single ‘Stargazer’ earlier this February. Over the last year, the band has been working on collaborative projects with UK electronic act Clean Bandit after touring with them in the US and remixing their hit tune ‘Rockabye’, as well as the American funk-pop band DNCE. Catch Sekai No Owari at the Esplanade Outdoor Theatre on Saturday, 15 September. 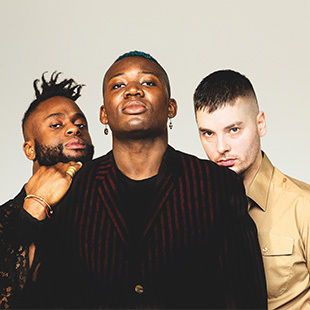 Formed in Edinburgh in 2008 by Alloysious Massaquoi, Kayus Bankole and Graham 'G' Hastings, YOUNG FATHERS has enjoyed tremendous commercial success and widespread critical acclaim. The trio has bagged a Scottish Album of the Year Award, a Mercury Prize for their 2014 album DEAD, collaborated with Massive Attack and has even contributed to the soundtrack of British crime comedy drama film T2 Trainspotting. Their third album, Cocoa Sugar, featuring the singles ‘Lord’, ‘In My View’ and ‘Toy’, is the band’s biggest success to date. Expect a formidable show from the hip-hop group’s first performance in Singapore at the Downtown stage at Zone 4 on Saturday, 15 September and again on Sunday, 16 September at the Sunset Stage. The entertainment programme is jam-packed with even more critically acclaimed international acts throughout the Circuit Park, including European and African-based collective Afro Celt Sound System, United Kingdom’s House Gospel Choir, Indonesia’s folk-pop duo Stars and Rabbit, China’s rising star DJ Lizzy Wang, Australia’s charismatic Boys in the Band, bonebreaking dance duo Bonesthemachine & Drewdollaz, street percussionist The Bucket Boy from the US and knife-juggling duo Two Gentlemen from the UK. Singaporeans can look forward to nine local trailblazers including Sing! China’s Joanna Dong, Abby Simone X MMLD, Miss Lou, Picks, M1LDL1FE, as well as DJs Myrne, EATMEPOPTART, EMONIGHTSG and Matteblacc. Patrons will be able to catch these performances and enjoy the carnival-like ambience at the Marina Bay Street Circuit with their FORMULA 1 2018 SINGAPORE AIRLINES SINGAPORE GRAND PRIX ticket. In addition to the existing single-day grandstand ticket options for the Padang Grandstand and Pit Grandstand (Sunday only), fans can now opt for single-day Bay Grandstand tickets at S$108 for Friday, S$188 for Saturday and S$208 for Sunday. Fans who prefer the flexibility that walkabout ticket options offer can now choose from the Friday Zone 4 Walkabout (S$78), Saturday Zone 4 Walkabout (S$168) and Sunday Zone 4 Walkabout (S$188) tickets, in addition to the single-day Premier Walkabout tickets. Group Booking Specials are also available for selected grandstand and Premier Walkabout tickets, offering savings of up to 17% for purchases of four or more tickets. A limited number of Friday Zone 4 Walkabout tickets will be sold to Singapore residents at an exclusive promotional price of S$38 nett – 51% off the regular price of S$78. These tickets can only be purchased over-the-counter at SISTIC outlets (subject to availability). For more information on the FORMULA 1 2018 SINGAPORE AIRLINES SINGAPORE GRAND PRIX or to purchase tickets (priced from S$78 for a single-day ticket or S$298 for a three-day ticket), visit www.singaporegp.sg. Tickets are also available via the hotline +65 6738 6738 as well as all authorised ticketing agents.